IWP's international conferences are designed to bring together international and American writers in direct conversations around a pressing theme. They commonly result in a collection of topical essays, and in a short film documenting a gathering. In partnership with the Liljestrand Foundation, we are pleased to announce the preview of what is expected to be an annual series of international summits that value peace, greater global awareness, and environmental stewardship from the perspective of arts and culture. Poets, writers, playwrights and filmmakers specialize in translating private stories of conflicting identities into public discourse. In a period of tumultuous change such as the present, the conference brought together distinguished IWP alumni in the historically 'open city' of Tangier (Morocco) to address the question: to what do I belong? And, is it possible to create new stories to counter eruptions of extremism caused in part by the inadequacy of prevailing narratives of belonging and inclusion? Writers from the U.S., Syria, Afghanistan, Pakistan, Turkey, and Iran convened in Turkey to participate in a conference centered around the life and work of celebrated 13th century poet Jalal ad-Din Muhammad Rumi, a central poet in Afghan, Arabic, Persian, Urdu, and Turkish literature. 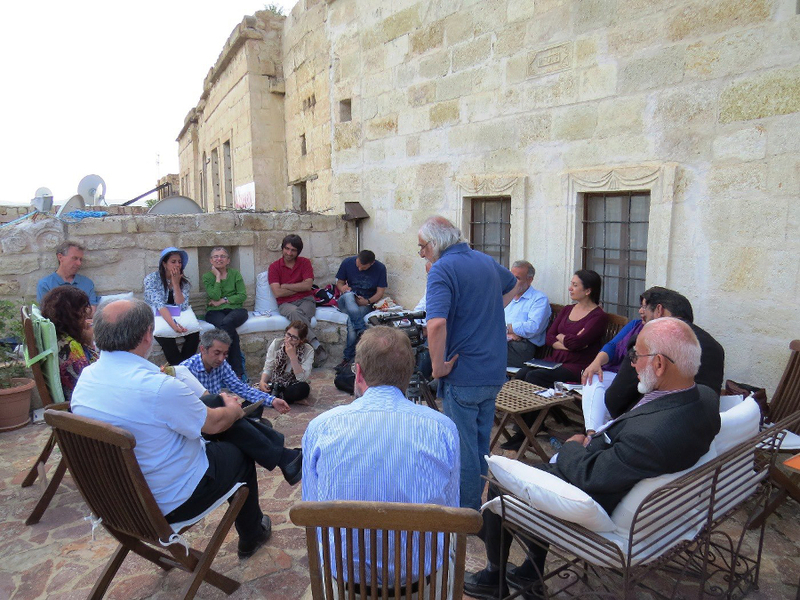 Brought together a group of international and American writers to Maghreb and neighboring regions of the Mediterranean to study and witness first hand the conflicting facts of urban life. Based in Fes (Morocco). Convened writers, artists, and thinkers from America, Greece, and around the world to the island of Paros to focus intensely on a common theme. Co-sponsored by the Fulbright Foundation in Greece, EKEMEL (European Translation Center) and the Office of the Mayor of Paros.